Brighten up any space with expert window cleaning in Moncton. With routine window cleaning, you boost the curb appeal of your home, keep your windows in good condition longer, and help enhance energy efficiency by ensuring windows are clear enough to allow in natural light and warmth. At Moncton Window Cleaning Service, we provide professional window and exterior building cleaning for residential and commercial properties. Our team takes on window and exterior cleaning projects of all shapes and sizes. With our experience, we easily adapt to your property’s needs. Hiring professionals for window cleaning in Moncton offers many benefits. First of all, you save time. Window and exterior cleaning is time-consuming, and if you have a busy schedule, it may be difficult to find to squeeze a window cleaning project into your calendar. Secondly, professionals can spot general issues that you may not notice like wood rot on windowsills. By catching problems early, you can avoid more costly repairs and maintenance in the future. Lastly, window cleaning can be dangerous, especially on tall buildings. Leaving the task to an expert team ensures safety. 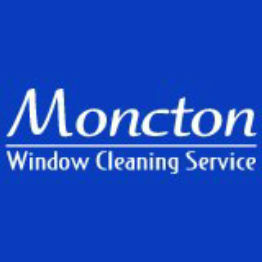 Contact Moncton Window Cleaning Service to learn more about our window and exterior building cleaning. Request an estimate and book your appointment today.